KMJ’s oversized freight transportation includes shipping, relocating, and transporting over-dimensional freight throughout Canada, the U.S., Mexico, and overseas. With offices in Toronto and Windsor, we transport overly wide, long, tall, or heavy loads across Ontario on a daily basis. KMJ has the expertise for transporting oversized freight of various types via truck and rail including automotive machinery, wind power equipment, power generators, cranes, and construction equipment. If you’re moving an oversized load, you need to work with a company that has a successful track record. KMJ has been transporting oversized, overweight, over-dimensional, and unique loads for many years. We combine trained and experienced personnel with the latest technologies and equipment to deliver your machinery safely, on time, and on budget. 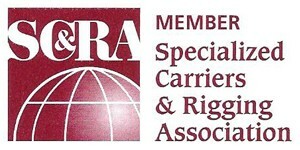 As a leader in the shipping, relocating, and transportation of oversized loads, KMJ is a valued member of the Specialized Carriers and Rigging Association. We are fully licensed, bonded, and insured to protect your investment.